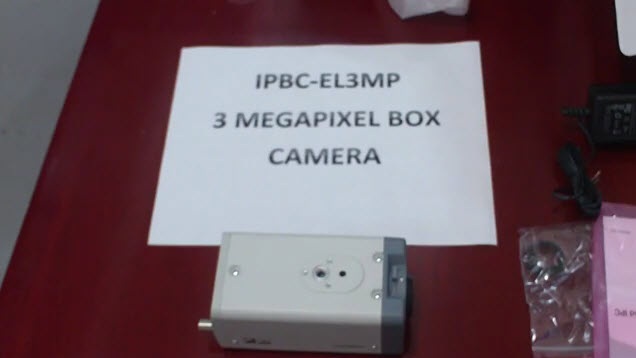 In this video I will show you our brand new IPBC-EL3MP box camera. 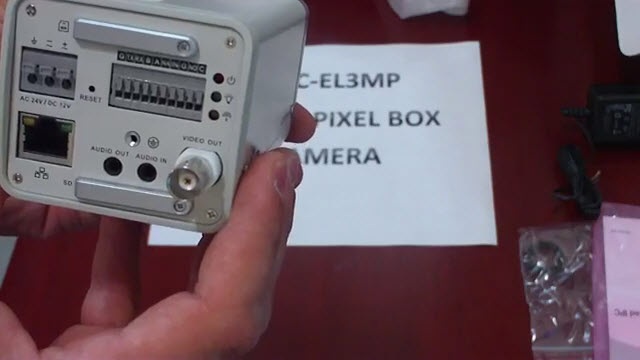 This camera is a 3 megapixel camera; it is capable of recording locally at the camera when you put an SD card up to 32 gigabytes in the camera. It’s a dual voltage camera so it supports 24VAC or 12VDC. It has the same computer interface as our DVRs. It’s a very good looking camera, it’s a persistent camera. Here you can put the SD card to record at the camera itself, it has the LAN port and it supports audio in and out so if you have a microphone you can put that it. It comes without a lens; you will need to purchase a separate lens for it. I hope this has been informative for you and I thank you for viewing this video.